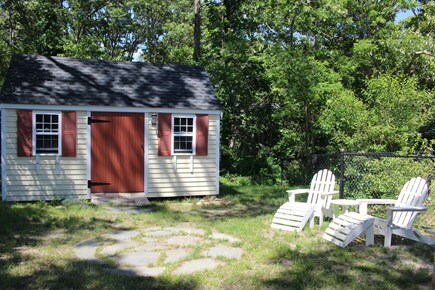 Picture Perfect Home near bike trails & Coast Guard Beach! Beautiful, clean and private 2 bedroom gem. Booking fast! 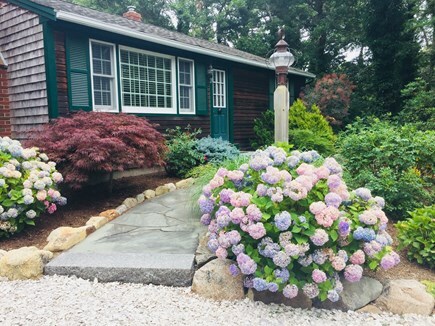 Come relax and enjoy Cape Cod in this centrally located, clean 2 bedroom, 2 bath home less then 1/2 a mile from the Salt Pond Visitor Center, entrance to the Cape Cod National Seashore. 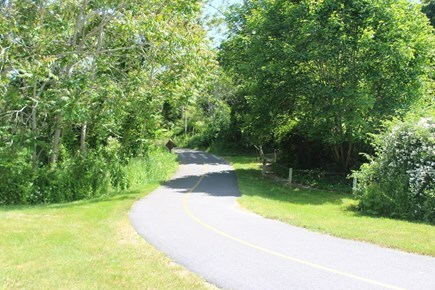 You will find miles of biking & nature trails just outside your door, and beautiful, award-winning Coast Guard Beach is less then 2-miles down the road by bike or car. This beautifully landscaped and lovingly maintained home has been freshly renovated, newly furnished and readied for your vacation fun! Located on a private lot, this one-floor house features central air conditioning, spacious living area plus new kitchen and baths. There is one bedroom with a private bath and one bathroom off the dining area with a washer and dryer, spacious outdoor hot and cold shower, a partially fenced yard and a shed for bike storage. 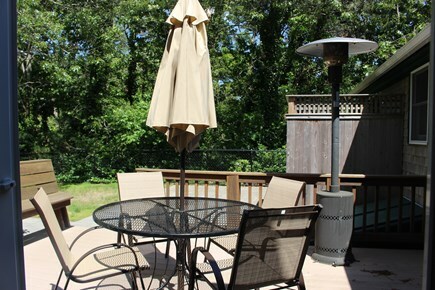 The house is fully equipped with everything you'll need including beach chairs and bikes. We have been coming to the Cape for 15+years and always find ourselves coming back to Eastham. We simply love the National Seashore and the sunsets on the bayside. This house was perfect in so many ways...modern, clean, well stocked with everything you may need from bikes, beach chairs, towels, grill, books, board games and I especially loved the deck and outside shower! Great restaurants nearby and our favorite Sam's Deli...which we ordered our lunch from daily and picked up on our way out.